Vision Quest is a leading consulting firm specializing in regional systems strengthening, program evaluation, research and capacity development. 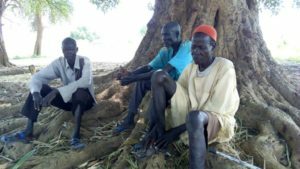 We provide evidence-based solutions for humanitarian and development actors at regional, national and local levels. Since 2012, we have operated in eastern, central and West Africa to deliver quality services to our clients. Our Vision: To be the leader of exemplary consultancy services in Africa. Our Mission: To provide efficient, professional and innovative consultancy services for improved and impactful programming. The three thematic areas of our technical support are social, economic and environmental sectors. We have a diverse team, highly skilled in varied thematic areas. Our consultants have led teams into accomplishing a wide range of complex projects that involve many professionally regulated stakeholder groups, by using collaborative, participatory and all-inclusive approaches. Our experts have previous experience in working with International NGOs, local NGOs, Government Institutions, Universities, United Nations Agencies, Media Houses, among other recognized institutions. Along with strengths in oral and written communications, our team has strong analytical skills with both quantitative and qualitative expertise in the broad areas of research, measurement, learning and programming. 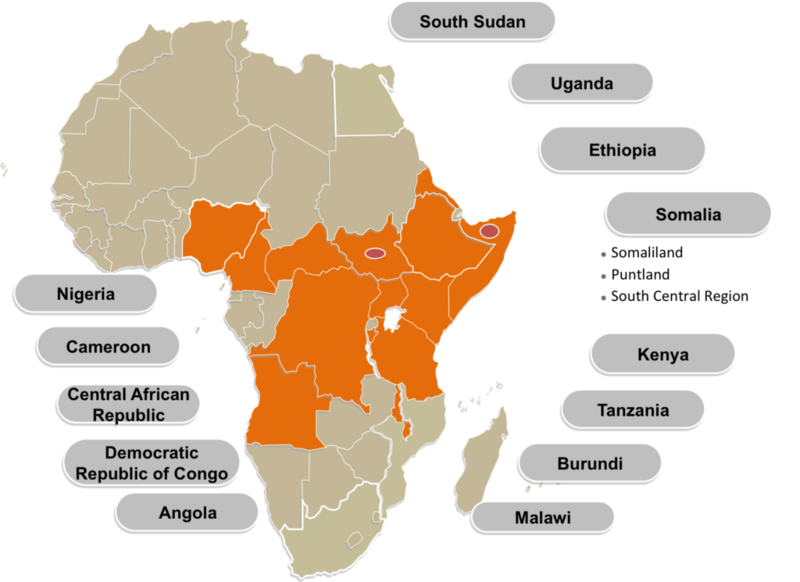 The clients we serve straddle across the eastern, central and West Africa, with a significant footprint in Somalia, Kenya, South Sudan and Ethiopia. The map shown below highlights the geographical coverage of our work. We have access to hard to reach areas in Eastern Africa that could be declared inaccessible due to insecurity, impassable roads and population movements. We rapidly mobilize our teams located inaccessible parts of Somalia, South Sudan and Northern Kenya on short notice. 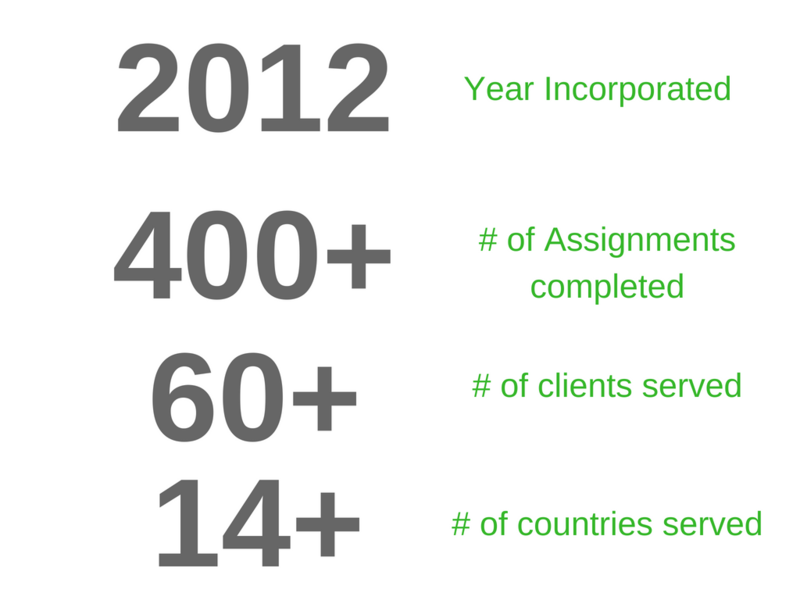 The teams deployed to our clients’ assignments benchmark with the best in their areas of expertise. We have invested heavily to initiate and nurture relationships among high-level government officials, civil society and other development partners in all the countries that we work in. We offer these networks to our clients and mobilize their support for our client’s benefit. During our assignments, we call on these relationships to the advantage of the clients we are representing. With these functional networks and relationships, we have an assignment execution system that enables us to rapidly deploy field teams to gather field data with very short turnaround times. With our vast experience working in these countries, we know gaps, challenges and opportunities around policy, programming and cultural issues (such as environmental, conflict, resources, planning etc.) that affect and/or influence outcomes. We tap into our technical and cultural know how to provide tailor made services and products for our clients. We recognize that the problems faced by our clients are not confined to certain sectors (e.g. health, security, education, nutrition or infrastructure only). With our Integrated Territory Management Department, we use an integrated approach using a systems thinking lens to enable generation of practical, inclusive and results producing insights in difficult and most often-complex program implementation gaps. Our work facilitates cross-sectorial partnerships and engagements by using conceptual and simulation models to generate cross-sectorial programmatic engagement. Our in-house team boasts of international experts with multi-country, multi-sector and multi-stakeholder experience. In all the areas we have worked in, we have a strong network of national consultants and experienced research assistants who are Vision Quest trained. Furthermore, we also maintain a global pool of experts whom we regularly call to support the needs of our clients. The ever changing implementation scope in terms of climate change, technological advances, emerging and re-emerging health, food security, WASH and conflict related issues amongst other factors, call for a rethink to traditional approaches to programming. Vision Quest is constantly exploring new solutions towards the challenges faced by humanitarian and development partners. 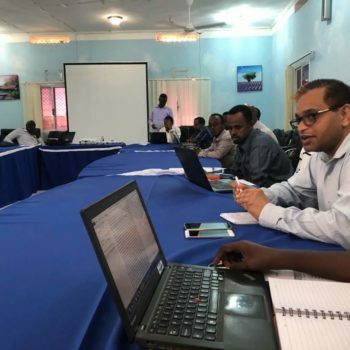 In this regard, we have made significant progress in developing conceptual and simulation models to address challenges and gaps in current humanitarian and development work. As a rule of thumb, we use advanced technology in data collection and analysis for efficient, accurate and reliable data management processes.